Tractor Trailers are transporting various goods throughout the New York metropolitan area including food, beverages, and other items sold at the retailer. Tractor Trailer or trucking accidents often occur on highways at high speeds but can also cause serious injuries at low speeds when the tractor trailer is turning or when the operator fails to be aware of his surroundings. One example is when a tractor trailer fails to see a pedestrian, bicyclist, another vehicle, or motorcyclist. 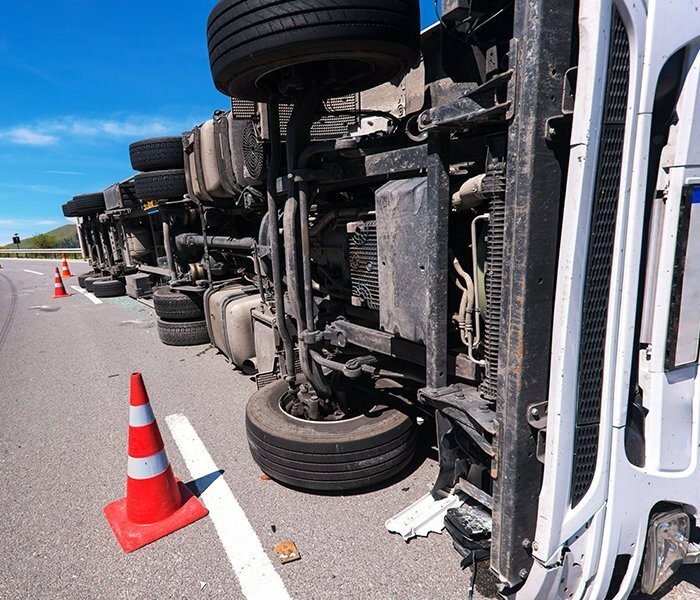 Manhattan, NY 18 Wheeler Accident Attorneys – F&A helps accident victims in all types of tractor trailer accidents including: jack knife tractor trailers, semi tractor trailer collisions, tractor trailer rollovers, 18 wheeler accidents, and other truck accident matters. One of the main reasons tractor trailer accidents can be catastrophic is the weight of the trailer when fully loaded. A loaded trailer may weigh as much as 80,000 pounds. Even a tractor carrying an empty trailer weighs about 30,000 pounds. This is an extremely dangerous weight which exerts enormous force when the tractor trailer comes into contact with a standard vehicle which only weighs 4,000 pounds. JJack Knife Tractor Trailer: when the trailer folds up or swings to the left or right side of the tractor which resembles a folded up pocket knife. If a tractor towing the trailer skids, the trailer’s weight can cause the tractor to face sideways or backwards on the roadway. Causes of jackknifing include poor weather conditions such as snow or ice on the roadway, inattentive driving, equipment problems, or improper braking. Trailer Swing: occurs when the trailer swings to the left or right but does not permanently fold up or jack knife. As the trailer swings, it can crash into other vehicles on the roadway. The tractor trailer or fails to stop in time and crashes into the rear of another vehicle. When a load on the back of a flat bed trailer is improperly secured, parts of the load or other falling debris can end up on the roadway causing severe injury to others. If the tractor trailer is not repaired or if maintenance is not kept up, a defective part can cause accidents and injury. If you or a loved one was injured due to a tractor-trailer, contact the attorneys at F&A for a free consultation. (866) ATTY LAW. 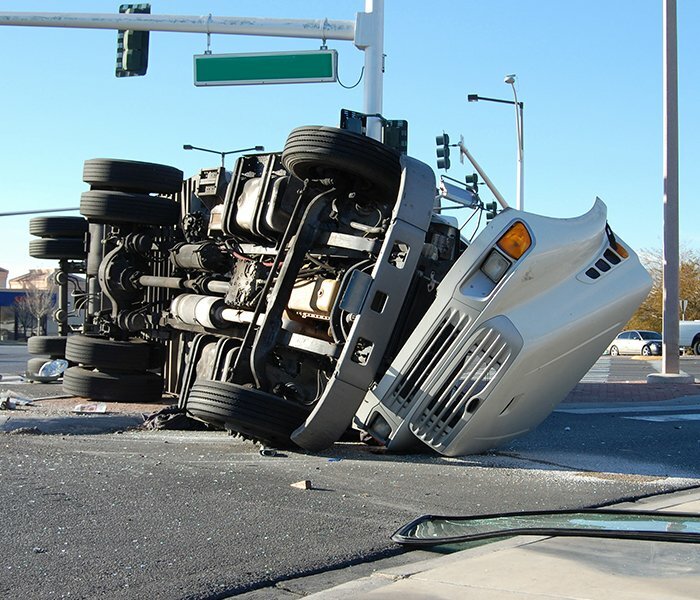 With offices in Manhattan, Brooklyn, Bronx, and Queens, F&A specializes in all types of truck accidents in New York.